Today, our company is blessed to have over 40 highly dedicated and technically qualified employees including 25 vault delivery drivers, 5 crematory operators, concrete production specialists, office staff, and managers. We are unique in today's business climate in that the average years of service for our employees is over 15 years and we have some employees who have worked for us for more than 40 years. In addition, we believe strongly in family and we have several second generation employees (i.e. father and son) who currently work for us as well as seven members of our own family. The following is more detailed information about the owners of the business. Bob is the Patriarch of the family and remains as the Chairman of the Board. At 87, Bob still visits with our drivers in cemeteries on a regular basis. Bob has worked in the business since he returned home from active duty in the Korean War in 1954. Bob became part owner of the business in 1962 with his brother LeRoy (now deceased). Bob was instrumental in the expansion of the business during the 1960's through 1980's and was very active in trade associations. He was the past president of the Pennsylvania Concrete Burial Vault Association and a long term member of the Eagle Burial Vault Board of Directors. Bob has been married to his wife Sylvia for 59 years and they have three children and five grandchildren. Bob still enjoys playing golf, working in his yard, and walking his dog. 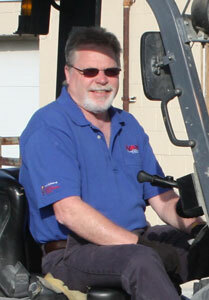 Bill has worked in the business since graduating High School in 1971. 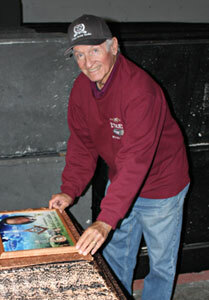 Originally, Bill worked in the vault production shop and eventually became a delivery driver. As Bill's experience grow, he began to slowly take over some of the management responsibilities of the business and in 1984 he officially began to buy his father's share of the business. Bill along with his Uncle Bob purchased the Shade Burial Vault Company in 1985. Bill also became very active in trade organizations. In 1990, Bill was the motivating force behind our company offering cremation services for Funeral Directors. This was a big decision as cremation was a new market area at this time and required the company to develop specialized skills. Bill continued to expand his leadership role in the business and in 1998 he became president of the company. Today, Bill maintains his position as President and is responsible for the day-to-day operation of the company. He manages the vault delivery schedule and oversees vault production. Bill is a dedicated and committed family man and is married to his wife Diane. Bill has two children, Shane and Allison who both work in the business. Bill also has 8 grandchildren. 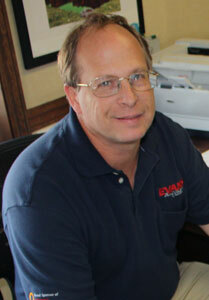 Paul joined the family business in 1998 after a long and successful career as a consulting civil/environmental engineer. He graduated from Dickinson College in 1987 and then received his master's degree in 1991 from Penn State. He worked for Huth Engineers in Lancaster PA for over 12 years. With Bob nearing retirement, Paul become a logical choice with his business experience to expand the business recognizing the challenge that increasing cremation rates represented to a burial vault business. Paul immediately went to work on a number of acquisitions and the company more than doubled in size. Paul's role is to manage the business and sales of the company and to always look for new opportunities. Paul is very active in trade organizations and like his Dad has been a past President of the Pennsylvania Burial Vault Association, member of the Eagle Board of Directors, and active with other organizations including Doric, Wilbert, and Trigard. Paul also enjoys the work and he is often seen in cemeteries setting up graveside equipment. Paul is also a committed family man and is married to his wife Melissa. They have two children Ryan and Julianna. ©2019, Evans Burial Vaults Inc. All Rights Reserved. CANA Certified Operators.